What GoToWebinar Triggers and Actions are Supported? New Attendee - Triggers when registrants turn into attendees to a webinar. New Upcoming Webinar - Triggers when you add a new upcoming webinar. New Registrant - Triggers when a new registrant is added to a webinar. Create Registrant - Create a new registrant for a webinar. Remove Registrant - Removes a registrant from a webinar. Create Webinar - Create and schedule a new, single-session webinar. This is a known limitation at the moment. Right now, the GoToWebinar "new registrant" Trigger only has access to see non-custom fields on the trigger side. Only upcoming webinars are shown in the dropdown selection field. Make sure you have a webinar in the future and it will then show up inside the picker. 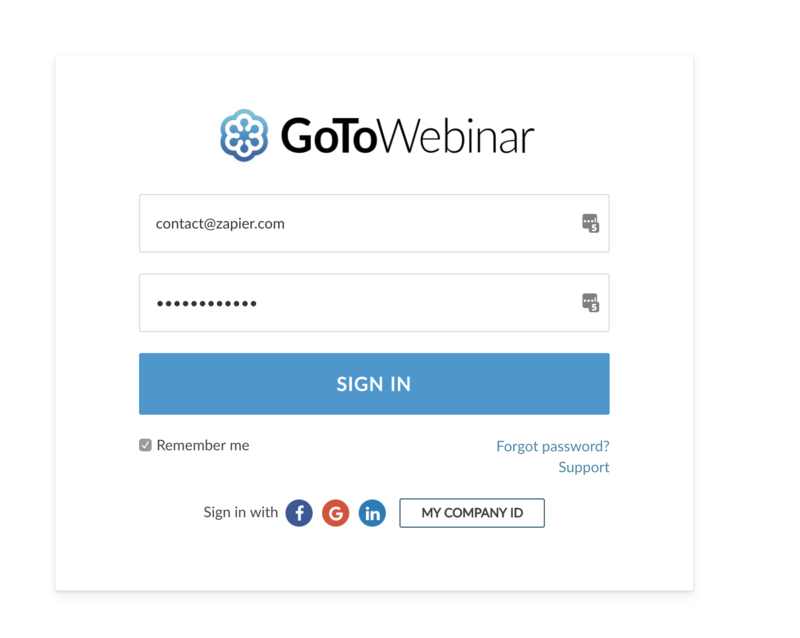 Right now, GoToWebinar only supports accessing registrants given a specific webinar. 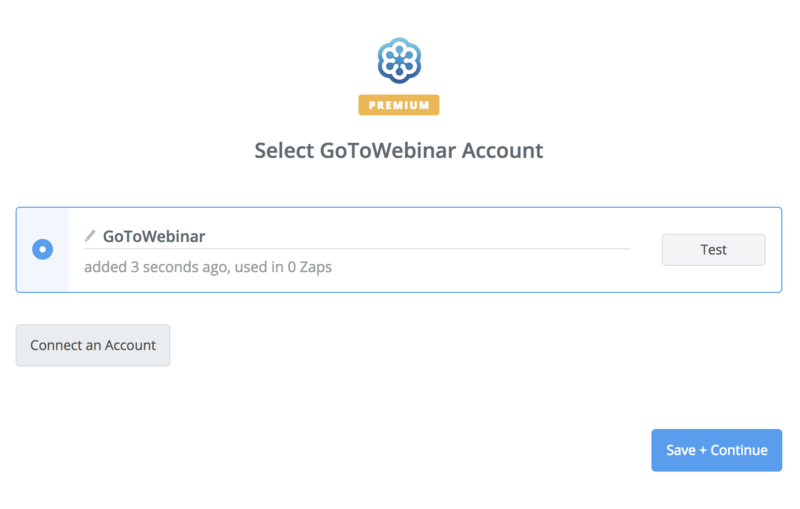 You will need to use multiple Zaps if you want to trigger off multiple webinars. For your convenience, you can copy Zaps from the Dashboard in order to quickly set up lots of similar Zaps. Recurring webinars are shown in the dropdown picker, but each recurring instance is a "new" webinar from Zapier's point of view. You can re-use the same Zap and you'll need to re-select the webinar from the dropdown picker in between recurring instances. We'll hopefully be able to better support this in the future and offer more dynamic functionality, but unfortunately, it isn't possible yet. When dynamically assigning a state, you will need to pass along the state name with no spaces and NOT the abbreviation, (e.g. NY) or a name with a space (New York). The end result should look like (NewYork). If you need to remove the space between the words dynamically, you can do so using our Formatter app. 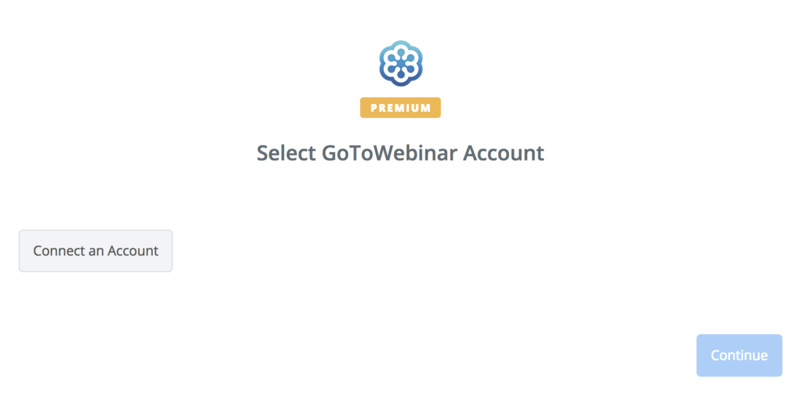 You may need to re-select your webinar from the dropdown - often "repeating" webinars have changing identifiers and GoToWebinar will not automatically register to the proper upcoming webinar. The New Attendee trigger will only trigger after the webinar is over, all people who actually attend the webinar will all trigger the zap in succession. If you want to trigger the zap when someone registers for your webinar, use the New Registrant trigger instead. This integration doesn't currently support Simulated (aka on demand) Live Webinars. The New Registrant trigger will trigger, but New Attendee will not. There is a feature request for this; email contact@zapier.com if you'd like to be added to it.